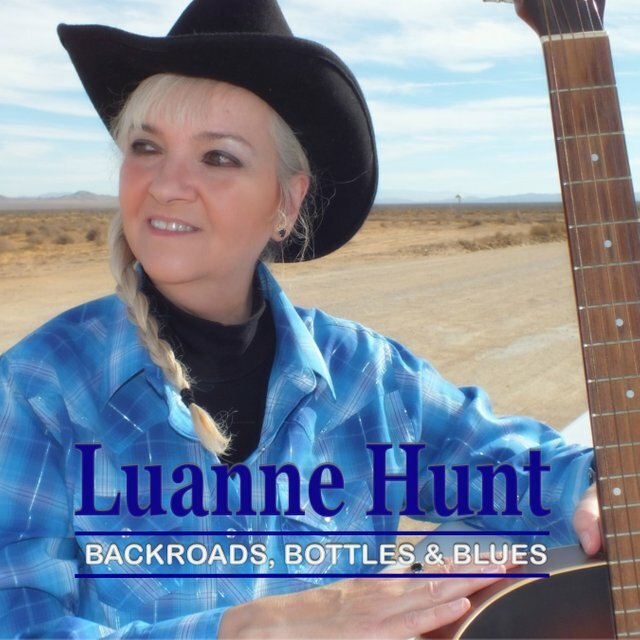 Music Review of the EP 'Backroads, Bottles & Blues' by Luanne HuntsteemCreated with Sketch. Country Music has become ever more popular world-wide thanks to shows like ‘Nashville’ and I’ve personally grown to appreciate this genre, especially if the artist is as good as Luanne Hunt with her album ‘Backroads, Bottles & Blues’. This 7-song EP makes you want to sit on a porch during sunset and just appreciate the little things in life as well as listen to her tunes on repeat because that's how good it is. Having listened to the entire EP, my personal favourite songs are ‘Broken Branches’ due to the almost bluesy/soul-like vibe that the guitar provides mixed with the traditional vocals by Hunt that definitely remind me of Joni Mitchell, one of my all-time favourite artists. But there is obviously also a hint of Dolly Parton influence in this, which is always nice and it’s amazing to hear how effortlessly Luanne Hunt manages to hit those higher notes. Her voice is very easy to listen to and I am not surprised this artist has won awards and scored numerous No. 1 hits on independent country music charts around the world. My second favourite song on the record is called ‘Whiskey Wisdom’ and this song just puts a smile on my face and I love the line ‘Whiskey wisdom took a hold of my man’, this is definitely a line that many people all around the globe can identify with. I also want to point out that all the songs on this ‘Backroads, Bottles & Blues’ album are top quality when it comes to audio quality and every single instrument is played to perfection. I could write an entirely separate review about Luanne Hunts vocal skills but let me just say that if you hear an artist sing and the voice is still in your head long after the song has finished, that’s proof that the artist has a very good voice that goes deep. All in all I can only recommend that you check out the album ‘Backroads, Bottles & Blues’ by Luanne Hunt if you are into Country music! Hello @tanbay, thank you for sharing this creative work! We just stopped by to say that you've been upvoted by the @creativecrypto magazine. The Creative Crypto is all about art on the blockchain and learning from creatives like you. Looking forward to crossing paths again soon. Steem on!